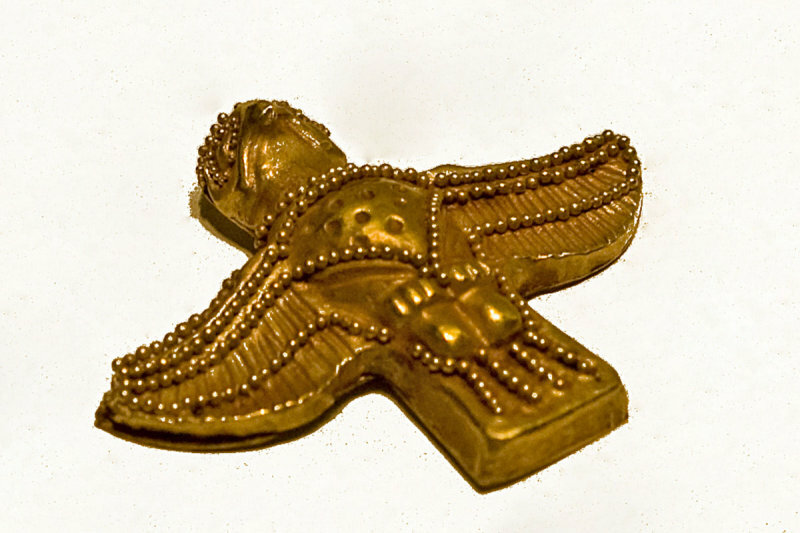 Golden plaquette in the form of an eagle. Asia Minor (possibly Lydian), 7th or 6th century B.C. 3 cm height. Excavated in the Artemision (Temple of Artemis) in Selcuk/Ephesus. Bron: ‘Catalogue du Musée d’Ephèse’ 1989.